Description: This copper cased cartridge is a product of Crittenden & Tibbals (1862-1866) and was used in the early dual ignition ballard rifle. 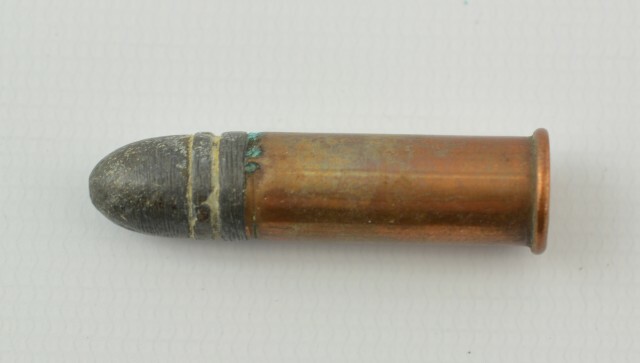 This measures 1.565 OAL, 1.025 case length, .379 bullet diameter, .378 at base and .432 rim. This round is shown on page 22 of barrels . 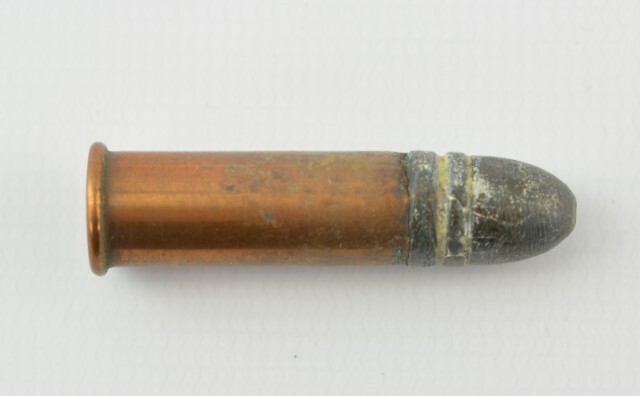 The rimfire cartridge in the United States and Canada. The only reference we found to any other manufacturer is on page 27 of the same volume. This shows an H.W. Mason (1870-74) product with a much blunter bullet shape. Henry Mason wa a former employee of Crittenden & Tibblas. Very scarce ammo for the advanced collector.